With winter creeping up on us, it is important that your roof is in top shape. Heavy rain, snow, and hail are all serious weather conditions that can do a number on our roof during the winter months. Before the storms start, it is important to prepare your roof for any possible winter weather damage. By properly preparing your roof for winter, it will be able to withstand the tirade of bad weather coming your way, while also keeping you safe from the harsh winter weather. Here are some things to look for when inspecting your roof before winter. If your home is old or you have a flat roof, then there is a good chance you may not have insulation. Insulation is the line of defense between you and the elements. Your roof and ceiling will be much colder and susceptible to leaks, mold, and other damage. Insulation also helps keep your home warm. If your roof and walls are already cold inside, turning up the heat in your home all the way will have little effect on the temperature of your home. You’ll be left with a higher heating bill and you’ll have to start heating your home before it gets badly cold (around September and October). Your roof will also attract more moisture, leaving you with an increased chance of mold. 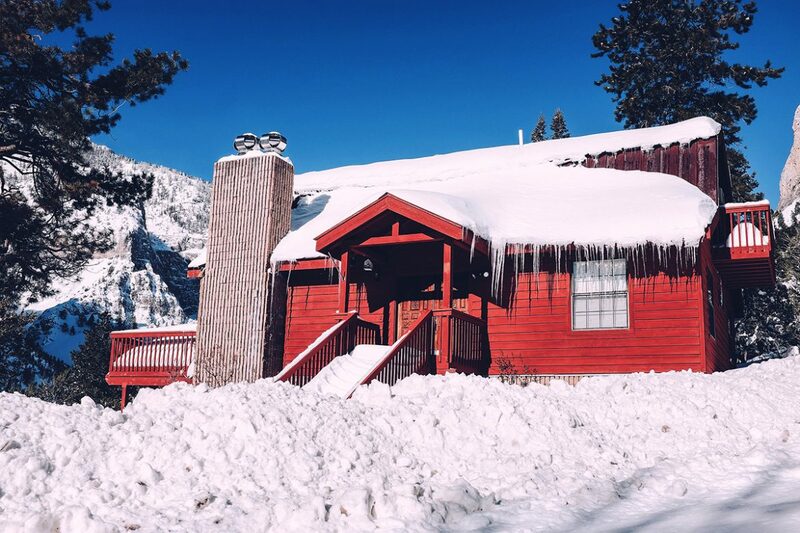 By adding extra insulation, your home will not only be warmer, but your roof will too, helping the prevention of ice dams. Don’t let those small problems pile up. Missing tiles or damaged shingles may not seem like an immediate problem. However, if your roof is to withstand the winter weather, it will need to be as strong as possible. You will be left with a higher cost for repairs and a potentially dangerous situation. By replacing loose or missing shingles on your roof, your home will be protected from water or ice damage. If your home has a leak, be sure to repair that too. You don’t want mold or rotted insulation in your home. For any repair, it is important to not put yourself in danger in the attempt to save a few dollars. By hiring a professional, you will also have the peace of mind in knowing that your roof will be completely repaired and able to withstand the cold. The first big winds and rains of the season will rustle remaining leaves and debris lose from your trees and onto your roof, inside your gutters. Your gutters are designed to direct water away from your roof, preventing mold and stopping large amounts of water from pooling on your home. Clogged gutters and downspouts are disasters waiting to happen. If your gutters are jammed, rain will collect either on the roof itself or on the bottom of the wall. This will leave you with a big problem if that water freezes during winter. You can clean your gutters by pouring water from a hose down them until the leaves are completely gone. Rake and remove any debris surrounding your downspouts to keep the area clear so ice and snow won’t build up. An easy way to prevent your gutters from getting clogged is to use a gutter guard. Gutter guards help avoid buildup or blockage in your gutters by preventing falling leaves and debris from getting inside. This leaves you with clean gutters and less work to do come winter time. Gutter guards also prevent water backup in the fall and winter, which can lead to ice dams. When in doubt, always call a professional. When issues arise that you can’t effectively fix, save time and headaches by calling the pros. Get your roof inspected by the professionals at Titan’s Roofing to ensure that your roofing system is in good, working condition.